Today, we are going to talk about auto responder emails because I think they are rather important. So, what would you put into your auto response emails? Well, if you want to see an example of one of our sites, go to the page www.marketingforowners.com/71. Now, you want to follow that up the next day straight away with a, “Did you get your guide?” Did you get the download link of this just in case it is another link to it and then again, remind them how grateful you are for taking the time of the day etc, etc. So on Day 3: go off subject. Say, “Hello again. You now have some time to start reading. What do you think? Are you very social? Do you use social media? We do. Recently on a Facebook page, we had a great discussion about ____”, and again, link to the Facebook page. Link to the information. Make it sure it is going to be something that’s related to the guide, to them, and at the end, mention, “Please like the page. Also, put in a comment and let us know who you are, so we can come and like you.” Always, always tell them what to do next. Next day, you send them another one. Ask them a question. Say for instance, in that guide, it is about skin care for beauty salons but you might say something along the lines of “Do you do this? On page 7, we talk and we mention this. We also have a blog post that goes into more depth and again here’s the link, go here and put in your comments. Tell us what you think.” Remember to tell them to do something. Quite often, of course, the e-book or the short course or whatever you’re giving us to download, is leading into a purchase of a product or some training or something more. So, start to get that into your conversation. Now, that is what the whole purpose is to launch. Then you might want to go in from email number one and say, “By the way…” but leave them with no doubt as what you want them to do. Don’t just send them emails. Don’t just interrupt their day; have a conversation. Make them do something. Sign up, come and look, go and like, etc, etc. Show them what the main problem was and you show how your training solves it. Say, “If you want to learn more about how we can do this for you, got to…” Do you see what I’m saying? Then you start to spread them out two days and then three days and then four and then five and then just go to seven days. Now, what is also a good idea, if you send out a weekly newsletter or a letter on a particular day, in your auto-responder sequence, if you use something like Aweber– that’s what we recommend — then you can exclude certain lists. You can see what our autoresponder looks like if you download our Ultimate Tools Guide. This is what we use every single day to build our businesses. We genuinely use them. Most of them are free. Don’t worry, it won’t bite. But if you go there, you’ll see the kind of things that we send out and how long it lasts. Just stick with it; you can unsubscribe anytime. But see what we do, see how we work it and how we bring you back into the website and so into the blog but without actually annoying you — or hope not — but try it. It will work. Work on this. I’ll mention it in other podcast, don’t you worry. Today our book recommendation is written by Jim Cockrum. He started off as an Ebay seller. Great article in a book of his about how he built up his business on Ebay years ago. Very, very good. But he’s written a book called Free Marketing. 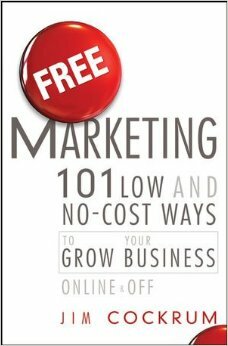 This is a great book because in the same way that I teach mostly free, very low price marketing tools. This is 101. Just a list of them, bam bam bam bam. So, go to your favorite bookstore — Amazon, Book Depository, Audible, whoever — check it out. Great book. I recommend it. 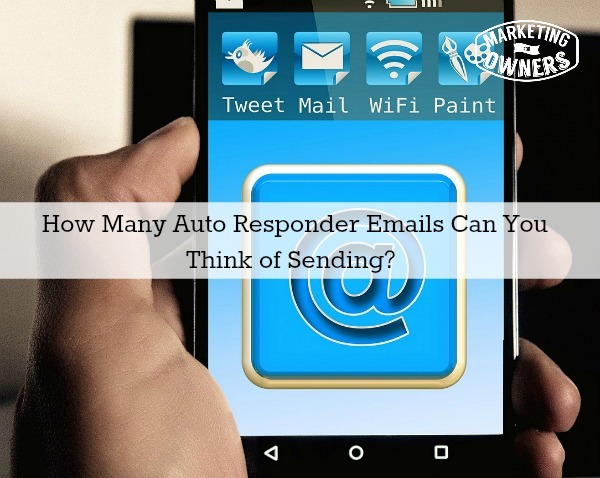 How many autoresponder emails can you think of sending?